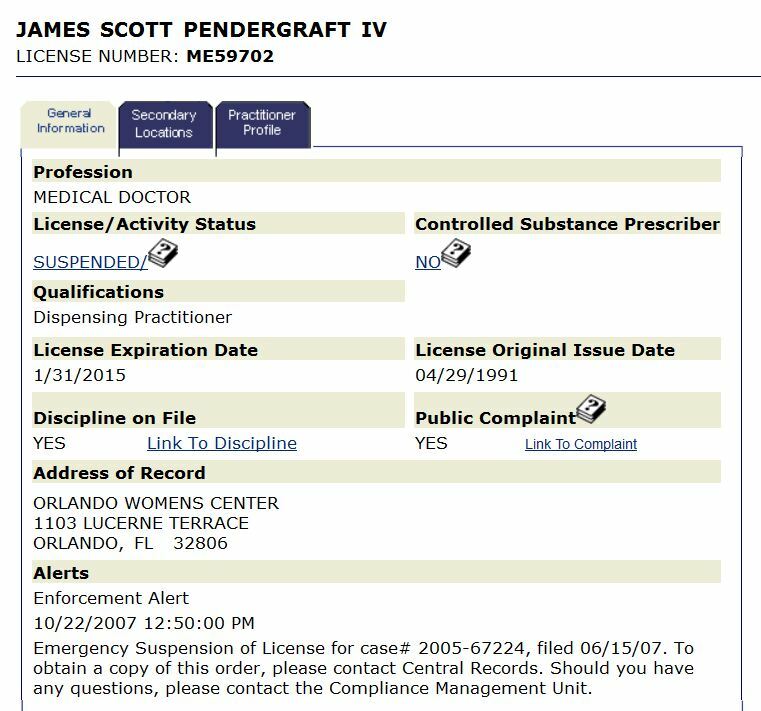 This entry was posted on October 19, 2015 at 2:51 am and is filed under Abortionist arrested, Pendergraft with tags Abortion, Abortionist, Angela DiBenedetto Jackson, arrested, Florida, James Pendergraft, Orlando Womans Center, police, South Carolina. You can follow any responses to this entry through the RSS 2.0 feed. You can leave a response, or trackback from your own site. thank God there are Doctors who will come to your home perform safe abortions especially when we know from history that many women have had to suffer through do it yourself abortions and end up dying. Thank you James Pendergraft. I hope there will be more men like you in the future to help women safely in their time of need. Thou shalt not Judge a person lest you walk a mile in their shoes.